There have been hundreds of books written about the Battle of Gettysburg. Generalized history, in-depth studies, biographies of commanders, accounts of local civilians, aftermath and care of the wounded, and the Gettysburg Address are just a few of the topics in non-fiction books. Then there’s the fiction category: military fiction is most prevalent, a few civilian fiction stories, and I’ve even seen a couple romance books supposedly set in Gettysburg. “So why Gettysburg…again, Miss Sarah? Haven’t there been enough stories?” I’ll give you three reasons as we start the “Back to Gettysburg on Tuesday” series. My very first draft of this coming novel was set in Gettysburg. When one of my older cousins told me “you should write a book,” he helped me choose names of characters and dictated a few other details. However, I was very insistent that the story must be in set in Gettysburg. My reasoning at the time: it was a good way to include Lincoln in the story. Throughout the next eleven years, I planned to change many, many things in that original story, but the setting never changed. To my knowledge, no historical fiction book about Gettysburg has addressed civilians in a farm/countryside setting. There have been several historical fictions about civilians living in town, but in many ways the farmers and their families suffered more. I believe there’s an old prejudice against these country people going back to the 1860’s (more on that in the future) and now it is time to remember their sacrifices and their care for the wounded in their fields, barns, and houses. I’m looking forward to sharing the history about real people who reached out to serve and support those in need. 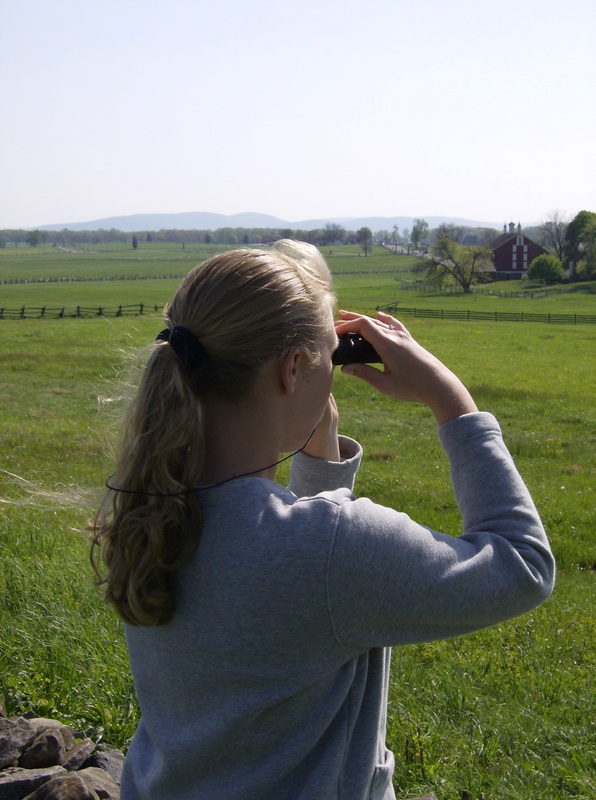 It’s time to tell the story of Gettysburg again – through a new perspective. Faith and courage meet danger and difficulty. This week I’d encourage you to read through an overview of Gettysburg military history, just to become familiar with the traditional backdrop of information I’ll be sharing. Join us every Tuesday for history that inspired and supported my coming historical fiction story Blue, Gray & Crimson. I hope your readers enjoy the post. Thanks for sharing!